The second oldest licensing board in the country and established in 1908, the Louisiana Professional Engineering and Land Surveying Board are governed by Title 37 of the Louisiana Revised Statutes. For more than 100 years, the Board’s mission has been to safeguard life, health, property and to promote the public welfare. 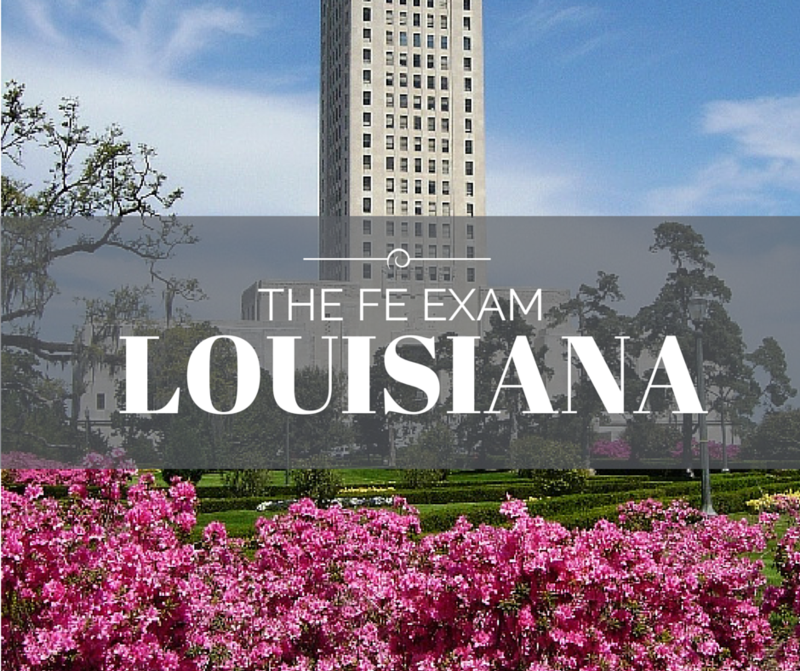 The Louisiana Professional Engineering and Land Surveying Board will have all the information for the FE Exam Dates, FE Exam Costs, FE Exam Passing Score and locations for local FE Exam Reviews. What educational programs are accepted for taking the Engineer in Training exam? Any EAC/ABET or Non-EAC/ABET accredited engineering program. However, further education and/or experience may be required prior to taking the PE exam if you graduate from a program other than EAC/ABET. See the Boards website for details. Are there any programs equivalent to EAC/ABET accepted for taking the Engineer in Training exam? Yes, programs accredited by the Canadian Engineering Accreditation Board and programs accredited by accrediting bodies from countries signatory to the Washington Accord or listed in ABET publications. What are acceptable Foreign Evaluation systems: Not Specified, see Board website for details. Have further questions? Check the Frequently Asked Questions or visit www.lapels.com to get the most up to date information.